We can help set up broadband or trouble shoot broadband problems, talking to your service provider if required. 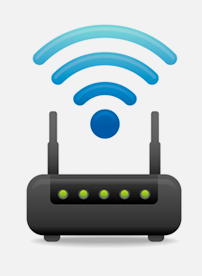 We can get Wireless devices connected to your router and trouble shoot issues of poor connections or slow internet access. We set up wireless printers and help you get your devices printing. We can configure and set up Skype for you, getting you connected to friends and family around the world.